Renova Developments is now owned by Fulcrum which is the private sector partner in a number of Public Private Partnership (PPP) businesses, and Community Health Partnerships (CHP) which is the company owned by the Department of Health to lead primary and community health care infrastructure development in the 49 NHS LIFT projects across England. Following the creation of Clinical Commissioning Groups in April 2013, CHP works with the four CCGs in Halton, St Helens, Knowlsey and Warrington to help them develop their primary care estates strategy and Renova is the organisation that develops the new buildings and supports the rationalisation of the estate to deliver primary care and out of hospital services. Renova has been one of the most prolific LIFT companies in England and has developed 17 excellent new primary care and community health facilities ranging from the £10m Newton Community Hospital to the Orford Primary Care Resource Centre, part of the £30m Orford Jubilee Park regeneration project opened by the Queen in 2012. Dr Anita Malkhandi, GP in Orford said “Renova have driven our partnership from the outset providing strategic support and guidance. The project is set to bring major benefit to the residents of Orford Park”. 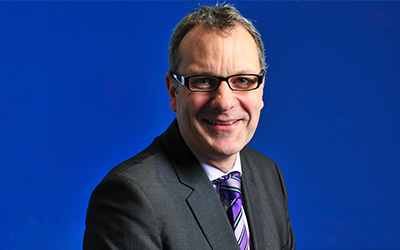 Adrian is Sector Chief Executive Officer at Fulcrum, the private sector partner, at Renova Developments. 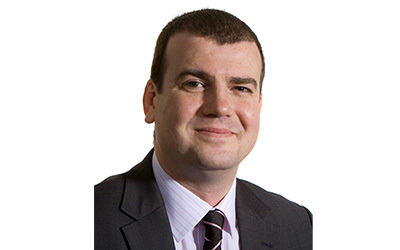 Adrian leads Fulcrum’s Health Sector business and has overall responsibility for all its LIFT assets along with its interests in the hub programme in Scotland. He brings 20 years of experience of senior positions in client, consultant and contractor organisations in both public and private sectors, and in the UK and overseas. Adrian brings health sector expertise and in-depth knowledge about all aspects of the Property Asset Life Cycle to his work with Fulcrum. Partners get the benefit of his experience, which runs from designing strategies for new public sector infrastructure that meets the needs of new and existing communities, to devising plans for disposal or reconfiguration of existing estate to meet the needs of local people. Previously Adrian has been responsible for Fulcrum’s assets in the North West of England, Bristol and Oxford and for the leadership of its Strategic Asset Management consultancy and much of Adrian’s work is focused on helping NHS partners design and implement plans which both make the best use of the money available to deliver commissioning outcomes and make a real and long term contribution to the Quality, Innovation, Productivity and Prevention agenda. Adrian has lead Fulcrum’s work on two important initiatives. He has devised the ‘Estates Enabler’, a simple and effective way for NHS organisations to be sure they make the best use of their buildings and other assets. The Local Area Team of NHS England and the six Clinical Commissioning Groups across Merseyside are using the ‘Estates Enabler’ to make sure that the estate supports the emerging commissioning strategy for clinical services. He has also developed a new and innovative estate management partnering solution that combines the best of Public and Private sector skills to deliver efficiencies, alignment and savings from estate for a local health economy. Adrian is also a Board Director of South London Health Partnership, West London Health Partnership, Bristol Infracare LIFT, Oxford Infracare LIFT, Infracare South West, hub South East Scotland and Island Roads Services. He is a Chartered Surveyor and a member of the Chartered Institute of Arbitrators, the British Institute of Facilities Management and the Institute of Directors. 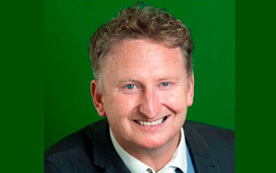 Clive Pitt joined Fulcrum in 2011 as Head of Finance. He is responsible for making sure that all our statutory, contractual and governance obligations are met, and for maintaining relationships with our funders. Clive is closely involved with all our developments. He acts as a Director of South West London Health Partnerships, West London Health Partnership, Building Better Health Lambeth Southwark and Lewisham and Renova (which manages our developments in north west England). Clive is also the Chief Financial Officer of Island Roads Services – the Private Public Partnership to improves the roads of the Isle of Wight. Clive has been involved of public-private partnerships and the NHS LIFT programme for several years. He brought experience of work at senior levels in the UK and USA (latterly as a senior manager for Sodexo), to private finance initiative projects in the health, education, criminal justice and defence sectors. He was then appointed as the chief executive for the LIFT company which invested in primary and community care services in Manchester, Salford and Trafford. 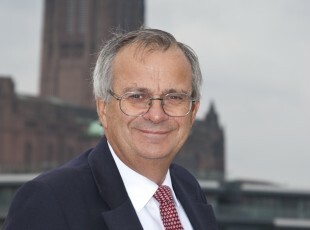 Clive developed three major schemes in Salford and nine other projects, winning several national awards along the way. Clive began his career as a chartered accountant in the hospitality industry. He had several roles with Gardner Merchant before becoming its Commercial Director for the UK Workplace and Education Market. Joni joined initially Meridiam Infrastructure in January 2012 to work on bid preparations and to develop some of the ongoing strategic analysis. He started working for Fulcrum in June 2013, where since then he has been handling the financial modelling aspects related to Fulcrum and to the UK activity of Meridiam. He also has been performing a wide range of asset management activities. Joni previously worked in the Structured Finance department of Veolia Water where he took part in various large wastewater treatment and desalination projects. He also worked in the Investment Team of the French Strategic Investment Fund – FSI (French Sovereign Fund), where he was involved in several transactions. Joni holds a Masters of Engineering and a Masters in Project and Structured Finance from the École Nationale des Ponts et Chaussées. He also holds a Master’s Degree in Civil Engineering from the Faculty of Engineering of University of Porto. Mike Chambers is a Director appointed by Community Health Partnerships Ltd. His previous experience includes more than thirty years in local authorities. His local government service included eight years as the chief executive of Hyndburn Council and four as the deputy chief executive of Oldham Council. He began his career as a solicitor but later moved into policy development and general management. His successes include steering a series of local authorities into productive partnerships with a range of public and private sector organisations. During three years in Government Office for the North West Mike was responsible for the negotiation of Local Area Agreements that drove the integration of public services at local level. He is a legal associate of the Royal Town Planning Institute. Humphrey Claxton is the Chair of Renova. Having worked for Community Health Partnerships, he also has his own management consultancy firm, Metamorphis. 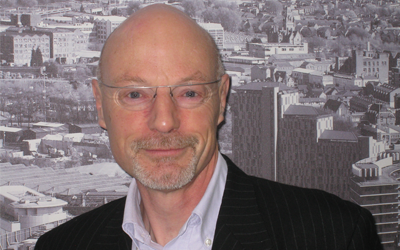 He has previously held positions in industry and with Government Office for the North West. General Manager of Renova is Becky Caffrey who is based in Renova's Warrington office.